A visual guide for developing the strategic framework and tech options to generate interest and engagement for commercial technologies. This product is based on a strategy designed for a global autonomous vehicle developer to promote broader adoption of and secure additional investment. Zylter provided strategic planning, analysis to design to develop an engaging brief to secure A-series investment for NEXT Future Transportation. Our team led design, development and compilation of Martin UAV’s 250-page technical proposal that resulted in Martin UAV and Northrup Grumman winning a $35 million contract for the Army’s Future Tactical Unmanned Aerial System (FTUAS) program. 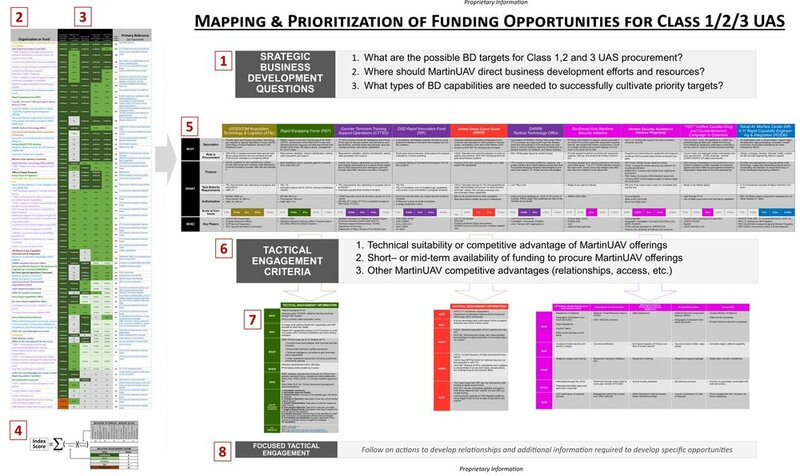 A large-format market “map” that provides a prioritized list of opportunities based on historical trends and practical information to guide development of priority opportunities. A multi-phase project that identified and assessed over 40 emerging tech applications that should drive evolving neighborhood design. 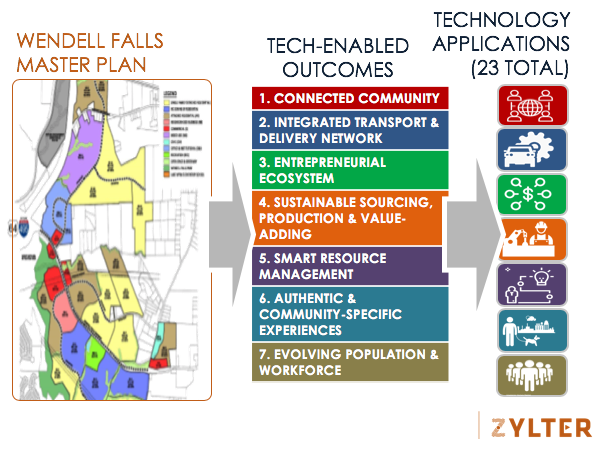 The project designed a detailed Tech Adoption Roadmap for five priority tech applications to guide strategic planning for and design of the Wendell Falls community. This project designed a tailored and robust framework to assess the addressable and pricing for B-Series investment in the emerging XR for Insurance platform. 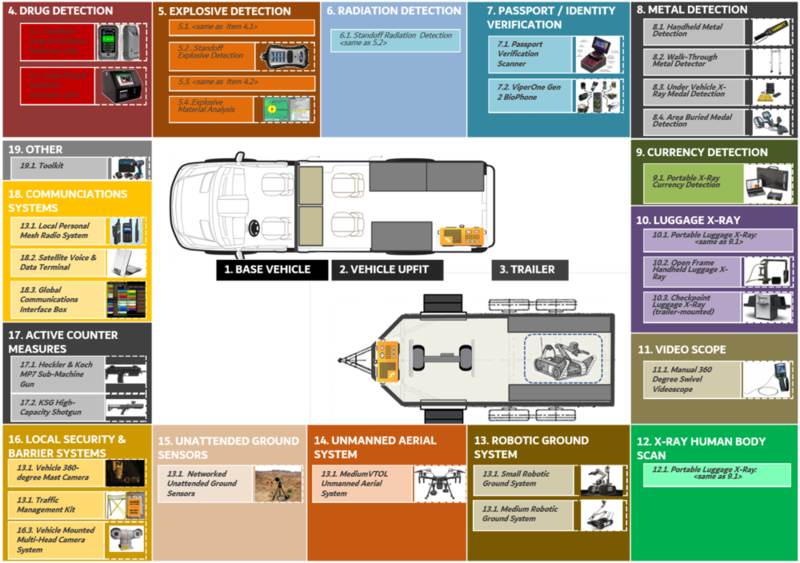 The BASE-V provides a mobile and integrated suite of technologies to identify a range of threats, to include explosives, chemical agents and other contraband materials. This project included technology scouting, system design and project integration for a foreign government client. This project designed a common template to identify and prioritize user requirements for commercial drone use based phase of employment. A Zylter project to design and build a data-driven assessment and ranking of over 100 different drone models based on 72 performance attributes and 26 user requirements for 10 industry-specific use cases. 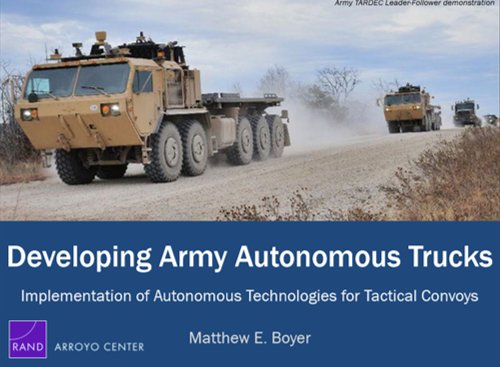 A 2016 RAND project by Zylter co-founder Matt Boyer to identify key platform design and integration considerations for the U.S. Army's autonomous truck program. 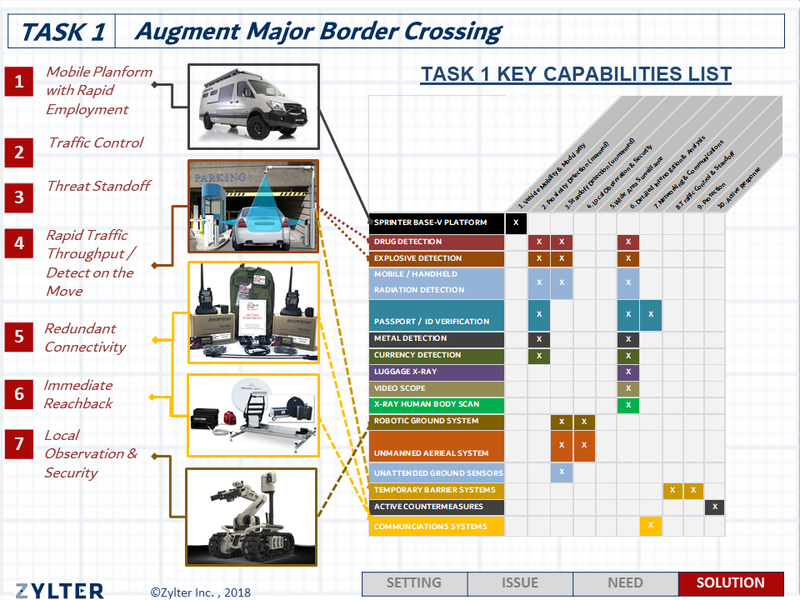 2013 project to identify and define key user and design requirements for Army "ultralight" tactical vehicles. This project identified key use cases, user needs and design requirements.